Here’s another exceptional cocktail from Chef Ryan Stone at The Bottle in Huntsville. I am a huge fan of bourbon cocktails, so I definitely recommend this libation. Make sure you also check out Chef Ryan’s Lily, My Love Gin Cocktail. In a mixing tin, add blackberries, peach syrup, and lemon juice. Muddle gently for 10 seconds. Add sage-infused Old Forester and peach bitters into the mixing tin, add ice to about the 3/4’s full line, and shake vigorously. Strain twice over ice in a rocks glass. 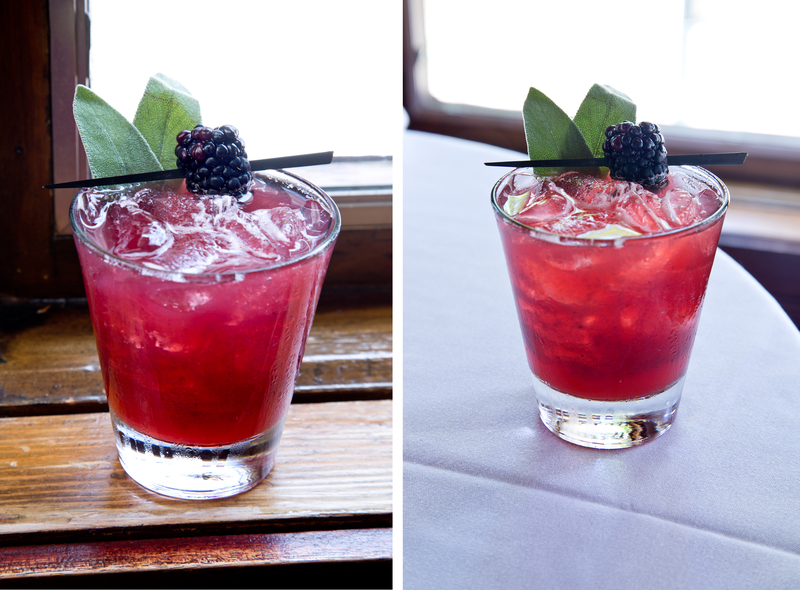 Garnish with a speared blackberry and a sage leaf. 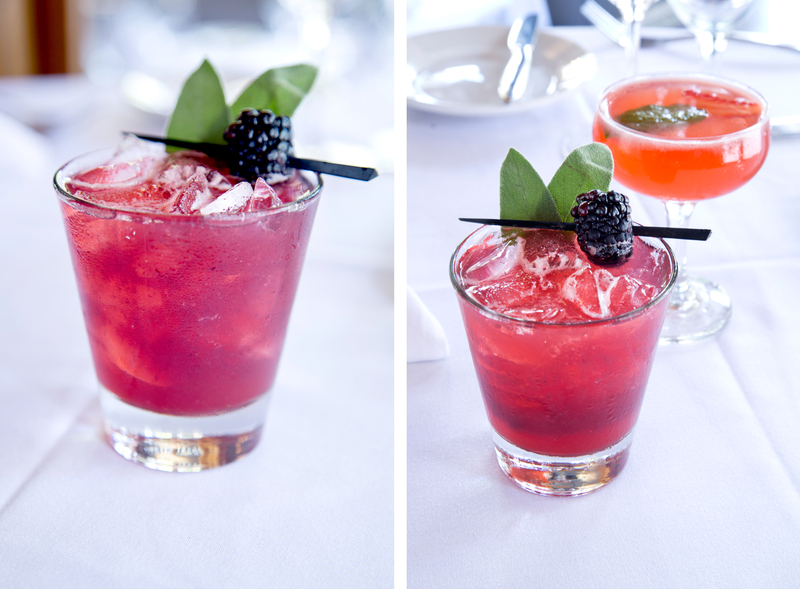 Categories: Recipe | Tags: alabama, berry, blackberry, blackberry cocktail, bourbon, cocktail, cocktail recipe, huntsville, Old Forester, ryan stone, sage, the bottle | Permalink.